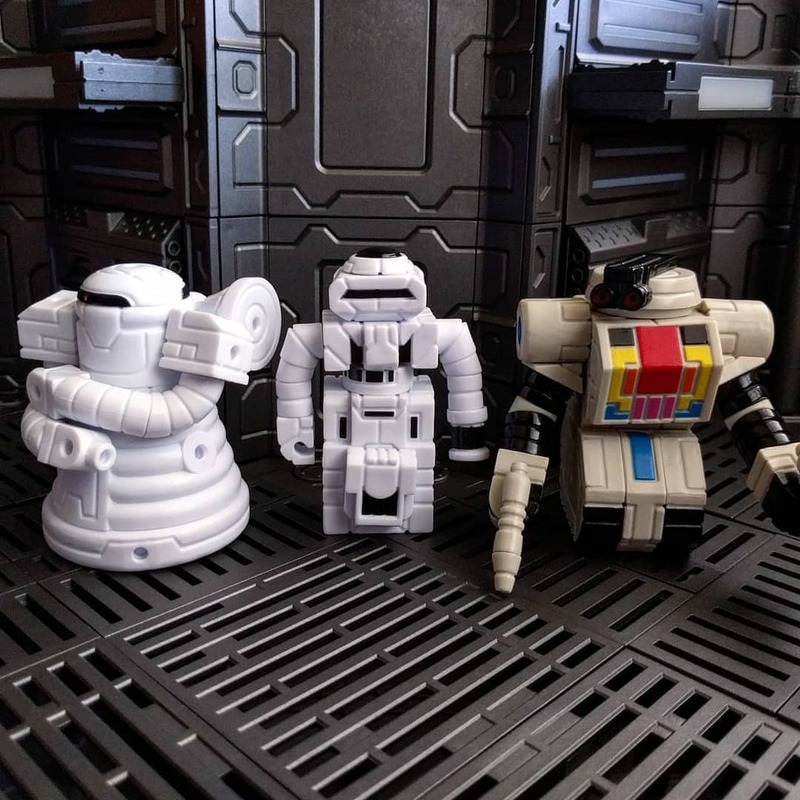 Quick question: wasn't the Neo Sincroid head the old optional head that came with Glyans before the Glyninja head came along? If so, it might be possible that this release would not necessarily see the other Dark Traveler elements (e.g. small scarf, large mask, etc.) as extras. kranix wrote: Quick question: wasn't the Neo Sincroid head the old optional head that came with Glyans before the Glyninja head came along? If so, it might be possible that this release would not necessarily see the other Dark Traveler elements (e.g. small scarf, large mask, etc.) as extras. I'm not certain of exact dates but according to the archive, the Neo Sincroid head came out (2011) and the Dark Traveler (2013). It's just a surprise to me that they would use the Neo Sincroid head instead of the Original Glyan head that the last two Darkness releases came with, no? The only change I can see if that the Knight of Darkness has the Dark Traveler belt & the Roboforce weapons kit. 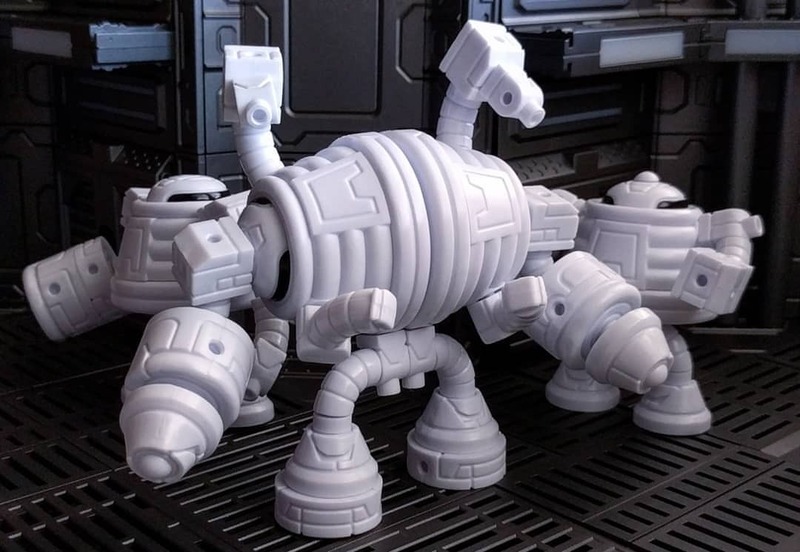 So my theory was because that was run this round, and because they come with the Neo Sincroid head, maybe it was out of convenience because they were run together? Based on those dates, it doesn't hold up that they would be on the same mold. 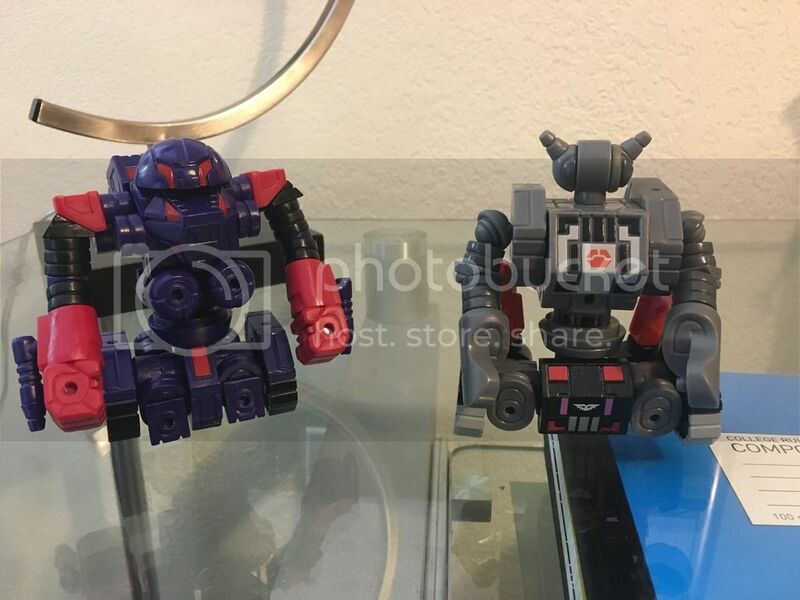 However the Roboforce mold was released in 2013 so was the LSA and Dark Traveler, maybe the Weapons kit is on the same mold as the Dark Traveler belt? I'm pretty sure your right about the Nazarran heads being on the same mold, I've got an Esedeth tan Nazarran Brain and Darkness soldier head. I've seen others mention owning stealth Darkness Soldier heads. Also there are now Red (Darkness Soldier), Metallic black (Gaurdian Darkness/Knight of Darkness figures this round) Gray (Different than the Esedeth warm gray) and now Copper Nazarran. I cant speak to what shares a mold. I really have no clue but i just got my knight and it came with both glyan heads, the DT torso and belt, both scarves and the glyan shoulders and thighs along with what was pictured on the figure. Really nice! ChristheElder wrote: I cant speak to what shares a mold. I really have no clue but i just got my knight and it came with both glyan heads, the DT torso and belt, both scarves and the glyan shoulders and thighs along with what was pictured on the figure. Really nice! Just got mine as well, the torso, extra belt, and other Glyan head were pleasant surprises! For those who may have missed out on them, John is asking for people to comment on his blog in order to get a feel for how many people want more Darkness! 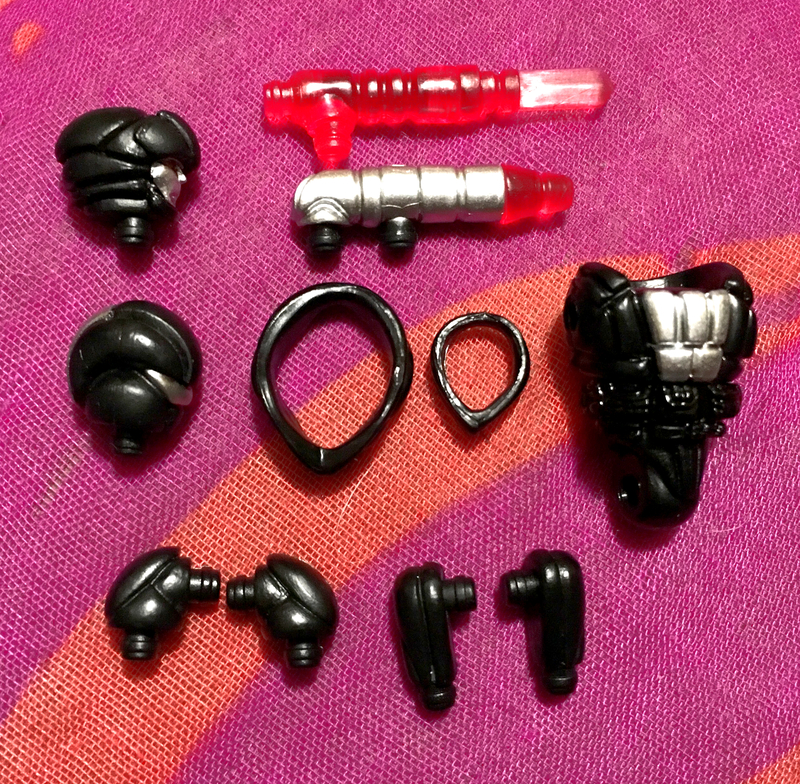 Also upon further cognition, I'm guessing that the Darkness Soldier head and Nazgar (brain) are on the same mold as the Zeroid. I have a question about the Super Zeroid Zobor figure, it's a cool build, but please, PLEASE can someone show me a picture of him from the back so I know I put it together right! New drop featuring Zerak the Destroyer is up. I'm loving the blues on the Darkness Soldier and Maxx! That blank Maxx is very nice! I love that blank Maxxes are regularly being offered. It really helps to bulk up the builds on a budget. 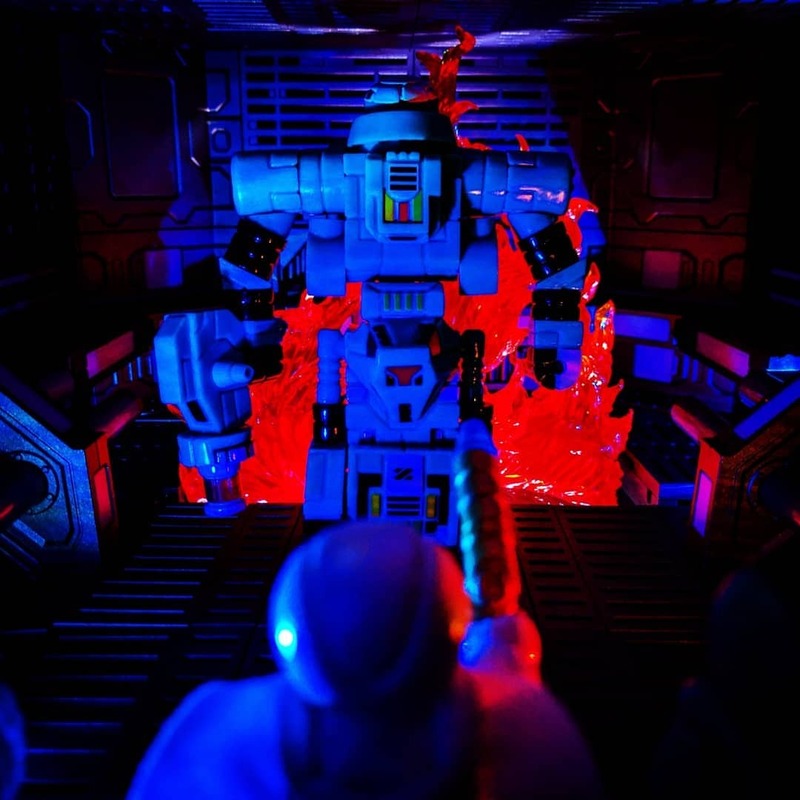 Vachidra wrote: I have a question about the Super Zeroid Zobor figure, it's a cool build, but please, PLEASE can someone show me a picture of him from the back so I know I put it together right! Sentinel head on top of the Hun-Dred eyes piece, the blasters with tips on turned inwards. I'm so stoked to see all the bonus Dark Traveler bits that come with the Knight of Illumination! 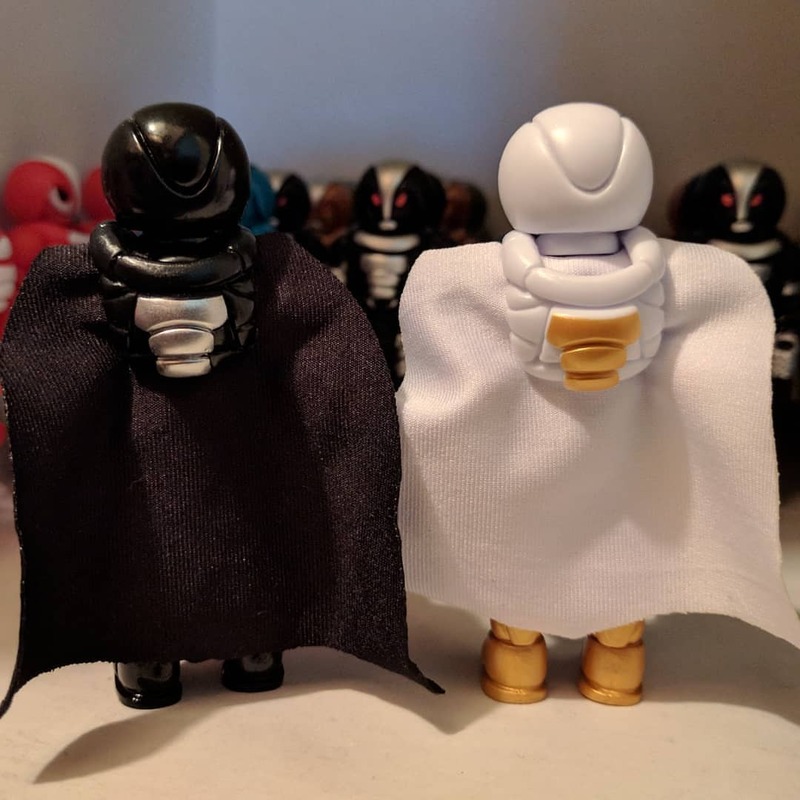 There hasn't been a Dark Traveler yet in my glyos collecting time. Had to visit the Build Station last night to grab some more white parts so I can take advantage of all those extra heads! Just received Zerak! I honestly think this new colorway would work well for a Tiltor build. kranix wrote: Hey, quick question: for the Knight of Darkness and Knight of Illumination, is there any paint applied to the back of the Glyarmor piece, or is only the front painted? Thanks! It’s gotta be Zem-21 and maybe MKii for the Knight of Darkness??? I’m guessing in that Metallic Black from the Godbeast’s last drop. Just a single new figure, but it's a pretty damne sweet looking sculpt! 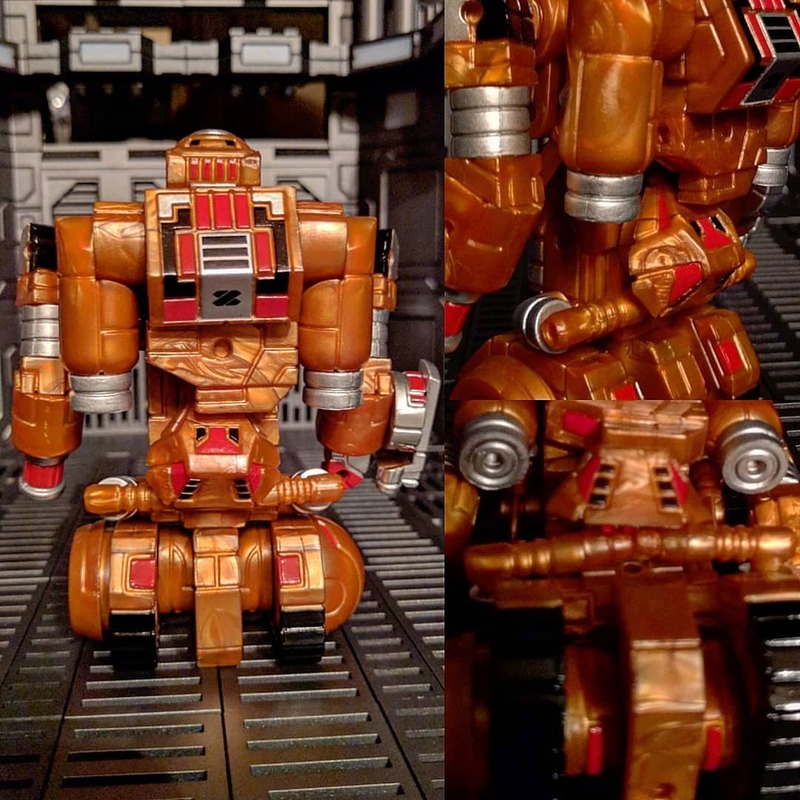 We can expect that next week will see another of these bulky bots as part of the Onell 11th Anniversary drop! Still some left, but at low stock! Witchwitchwitch wrote: Just a single new figure, but it's a pretty damne sweet looking sculpt! 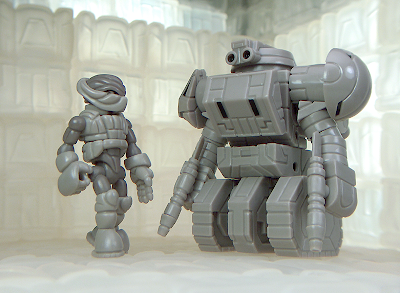 We can expect that next week will see another of these bulky bots as part of the Onell 11th Anniversary drop! This thing is going to be so fun to build with. It was finally revealed the other day. 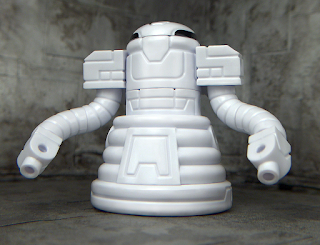 Tom Servo, is that you? Wow, and here I had just made my own because I got tired of waiting. Showing off the new Zetonian kit on Instagram today. Each starts with a cover image to hide the unseen parts if you don't want the surprised ruined before your order arrives. Since the colorway for the latest Onell drop has the same grey color that Vulgar has, I tried making a Basic Vulgar to go with my Basic Cruel. I based much of the design off of the Vulgar design that John posted.